Select the user manual that matches your device's OS and get started! Download RedVox Infrasound Recorder from the App Store or Google Play Store. Allow the app to use your phone's sensors. 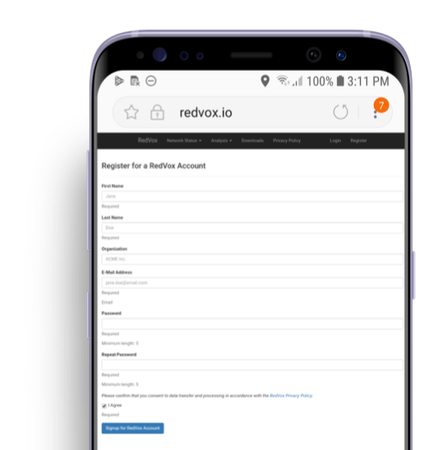 Log in or register for a RedVox account. A RedVox account gives advanced options in the app and for data analysis. It's free and easy! Register for an account now!